Episode 17: Jeff Jordan – Video Measurement | Beyond Web Analytics! In this episode we talk with Jeff Jordan about video measurement. We cover best practices, common pitfalls, and offer speculations on what the future holds for video measurement analytics. 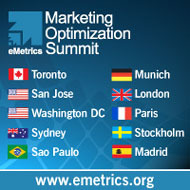 Jeff Jordan is the product manager for video and social media measurement at Omniture. Where he is leading Omniture product integrations with Adobe CS5, as well as other yet-to-be-announced Adobe/Omniture product integrations. Jeff is a frequent speaker at such events as Omniture Summit, Beet.tv Executive Roundtable, NewTeeVee Live. This article was posted in Podcasts, Web Analytics and tagged Jeff Jordan, Omniture, Podcast, Video Measurement, Web Analytics. Bookmark the permalink. Follow comments with the RSS feed for this post.Post a Comment or leave a trackback: Trackback URL.